The day of “Al-Nakba”, or the day of the birth of the state of Israel is a crucial and unforgettable day in the Palestinian collective memory, as it is the day when the Palestinians in the land of 1948, were forcibly exiled from their homeland. “Al-Nakba” means the catastrophe. 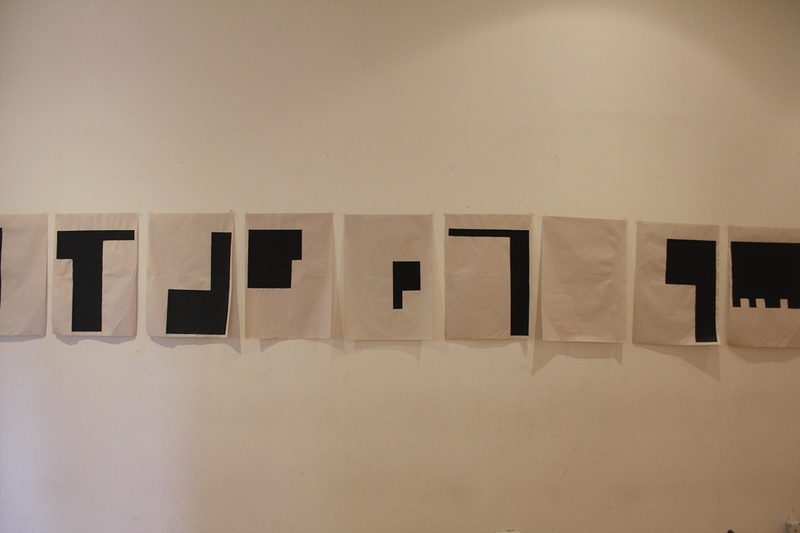 This work is composed of paper sheets that represent the front page of several newspapers that were published on the day after “Al-Nakba” in different countries around the world. On these sheets, the spaces of the news articles that covered what happened in Palestine the day before are highlighted. This work goes back to this moment after the catastrophe and looks into the weight and space or lack of it that was given by the rest of the world for coverage of this event. The year 1948 is a year of trauma in the Palestinian collective memory. In this video installation, several screens show a black screen with the number “1948” on it, this is followed by clips from several archival materials from the year 1948. These are miscellaneous clips including: The London Olympic, beauty pageants in Canada, a Christmas Parade, commercials. etc. The context of these clips are totally different from the collective perception of that year commonly held by Palestinians . The clips shows everything except what is already known and expected to be seen in recollection of 1948. 1948 is a year that has transformed into a powerful symbol in the collective memory, it transformed from being a date into being a place, someone can say "I'm from 48", everything else happened outside Palestine has been erased from our memory due to the catastrophic."Al-Nakba”. My strategy was that I went back to this collective traumatic moment in the Palestinian history, and collected Archive materials from that specific year. I collected anything that is not related to Al-Nakba, the data I collected was from different sources.